We are aware that supporting higher end Wi-Fi Routers and Access Points than the ones currently cloud-manageable through Tanaza would be a good thing to do, and we constantly look at what Wi-Fi Access Points vendors are doing. Enjoy this article about the latest ASUS RT-AC3200. Six antennas, apparently delivering up to 3,200 Mbps. Those are some impressive credentials, especially from the typically sleepy world of wireless routers. ASUS reckons its new six-pronged WiFi brick is not at all sleepy either: The RT-AC3200 will come with an adaptive Quality of Service feature that allows users to manage their bandwidth and traffic, working on tri-band 802.11ac. Meanwhile, AiRadar will apparently intelligently strengthen and tweak your wireless coverage. 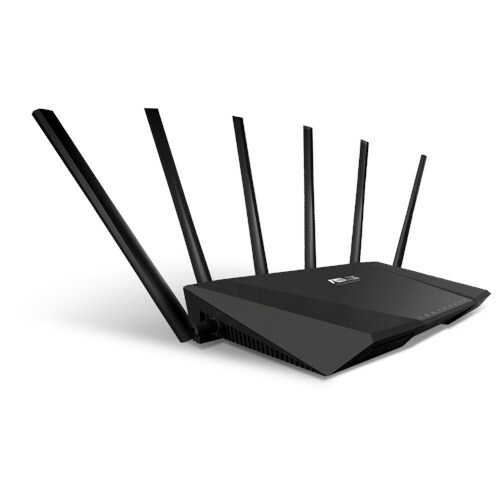 ASUS is promising that this will give improved signal stability, range and optimal speeds. If it sounds like something that could need technical support and a lengthy troubleshooting phone call, rest assured, ASUS is promising a 30-second set-up time that’s friendly to router rookies. There’s no pricing alongside the technical specifications, but we reckon it could well be the kind of router you’d likely need to make the most of Google Fiber and similar high-speed internet connections.